My home town, Moscow, has earned its reputation for abandoned industrial zones, flashy business districts and traffic jams. Visitors are often surprised to discover that it is also a green city. High-rise buildings near the Khimka River in Moscow. As Peter Sigrist mentioned in his series on public green space in Moscow, there are 96 parks and 100 square kilometers of forest within the city's borders. He describes some of these territories and considers how political processes influenced them over time. Some are now protected based on their acknowledged ecological or cultural value. Having recently completed a research project on protected areas, I'd like to add a series of posts on their current state and future prospects. This is the first, offering a brief historical overview. 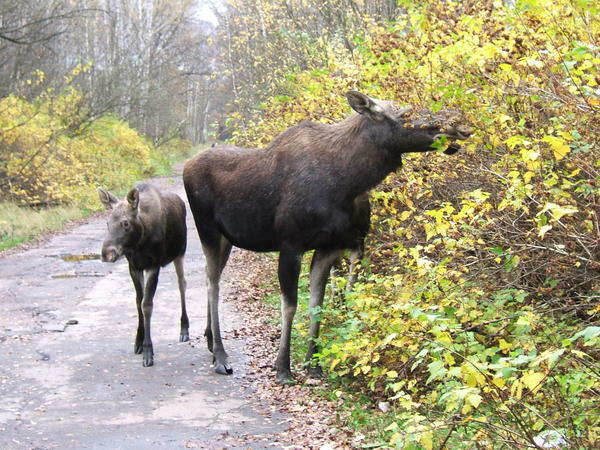 Moscow's protected areas: 1. Tushino Park, 2. Izmaylovo Park, 3. Tsaritsyno Park, 4. Pokrovskoe-Stresnevo Park, 5. Sparrow Hills Park, 6. Setun River Valley Wildlife Preserve, 7. Teply Stan Park, 8. Moskvoretsky Park, 9. Ostankino Park, 10. Petrovsko-Razumovsky Park, 11. Skhodnya River Valley in Kurkino, 12. Kuzminki-Lyublino Park, 13. Kosino Park, 14. Skhodnya River Valley in Molzhaninovo, 15. Troparevo Park, 16. Sokolniki Park, 17. Zelenogradsky Park, 18. Bitsa Park, 19. Losiny Ostrov Park, 20. Degunino Park. Precursors of today's protected areas have existed since the 16th century, when some territories were placed under special protection by the royal family and nobility as hunting grounds and private estates. These landscapes usually included not only houses and outbuildings, but gardens, farmland, meadows and woods. 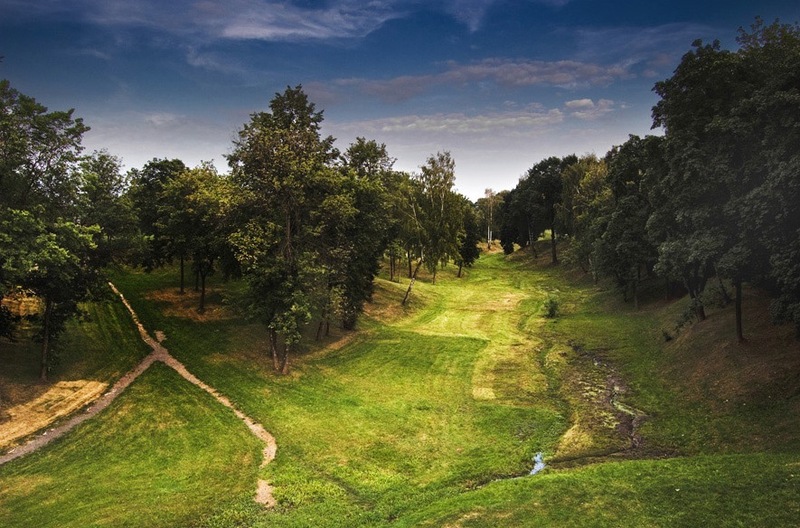 Losiny Ostrov (Moose Island) and Izmaylovo Park were strictly guarded hunting grounds for Grand Princes and Tsars. 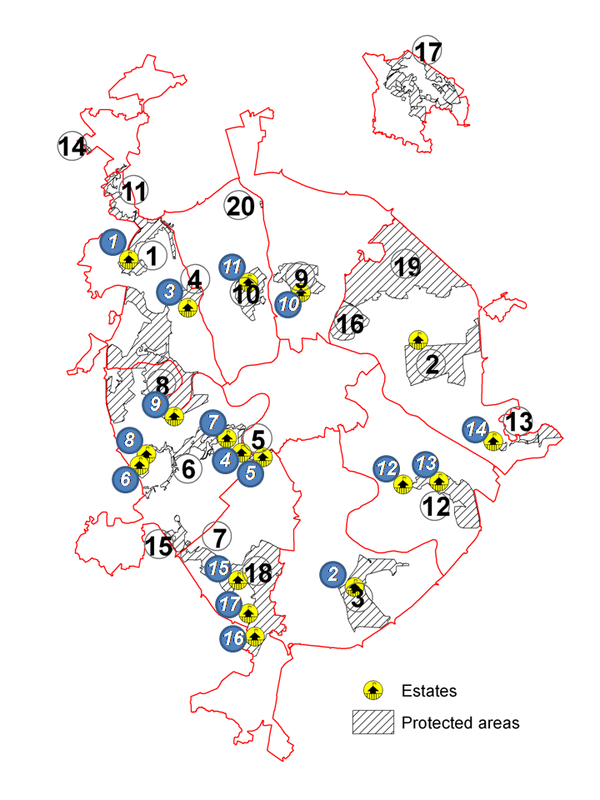 Other protected areas have estates or country houses within their borders. Historic estates in protected areas: 1. Brattsevo (16th century), 2. Tsaritsyno (16th century), 3. Pokrovskoe-Stresnevo (17th century), 4. Vorobyovo (15th century), 5. 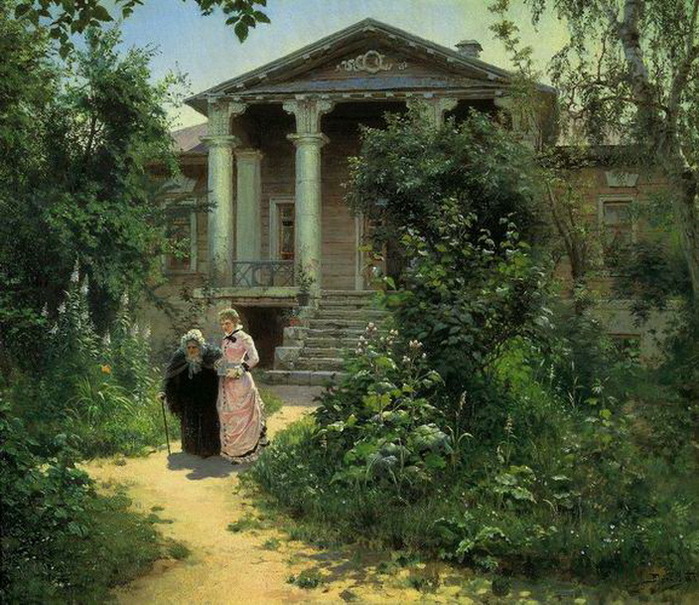 Vasilevskoye, also known as Mamonova Dacha (18th century), 6. Troyekurovo, (17th century), 7. Troitse-Golenischevo (17th century), 8. Spasskoye-na-Setuni (17th century), 9. Kuntsevo (17th century), 10. Ostankino (16th century), 11. Petrovsko-Razumovsky (18th century), 12. Vlakhernskoye-Kuzminki (18th century), 13. Lyublino (18th century), 14. Kosino (17th century), 15. Uzkoye (18th century), 16. Znamenskoye-Sadki (18th century), 17. Yasenevo (18th century). Due to limits on development, these territories have remained relatively unchanged since the 16th century. They are thus increasingly rare and valuable in today's rapidly growing metropolis. The first Russian Forest Act was adopted in 1804, when Emperor Alexander I issued a statute "On the Improved Protection of Forests and the Establishment of Forest Management in Moscow." Losiny Ostrov became the first official protected area in Russia. The modern history of Moscow's protected areas is based largely on the 1935 General Plan, which established a greenbelt 10-15 kilometers wide around the city limits. It included forests, meadows, fields, farms, gardens and towns, with a total population less than 270,000. The plan also included a ring of parks around the city center: Sparrow Hills, Fili, Serebryany Bor, Izmaylovo, Timiryazevo, Pokrovskoe-Stresnevo, Ostankino and Sokolniki. Today these parks are all protected. Wedges of greenery were to connect them to the greenbelt, creating comfortable microclimates and improving public health. Between 1940 and 1980, construction of factories, residential areas and roads significantly reduced the amount of green space in and around Moscow. In the late 1980s, there were mass protests to protect green areas against increasing construction and neglect. The main problem areas were Losiny Ostrov Park, Bitsa Park, Teply Stan Park, Brateevskaya floodplain, Kosino Park, Tushino Park and several river valleys. Such environmental protest movements had never happened before in Moscow, and successfully captured the attention of public officials. 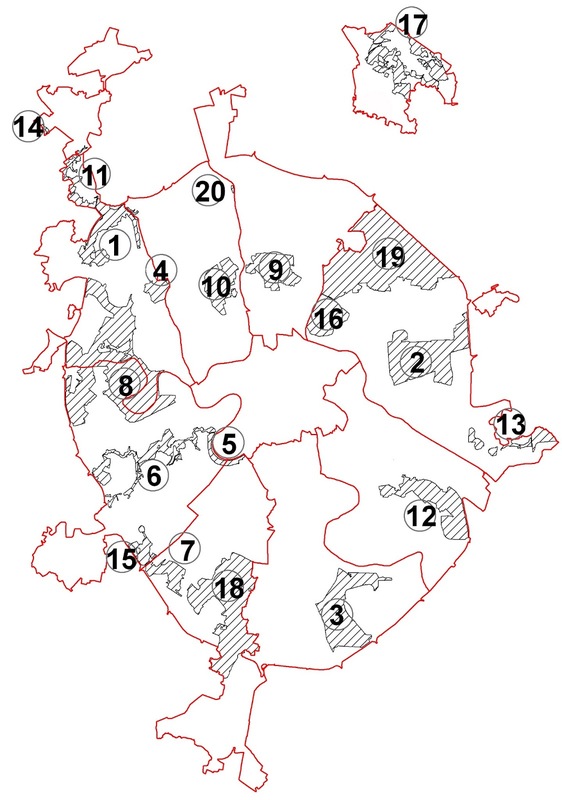 In 1989, the Ninth Congress of People's Deputies focused on urban environmental problems. They released a report on environmental degradation, calling for action to preserve urban green space. Goals for the use of Moscow parks changed dramatically: urban development and environmental protection were given equal status. 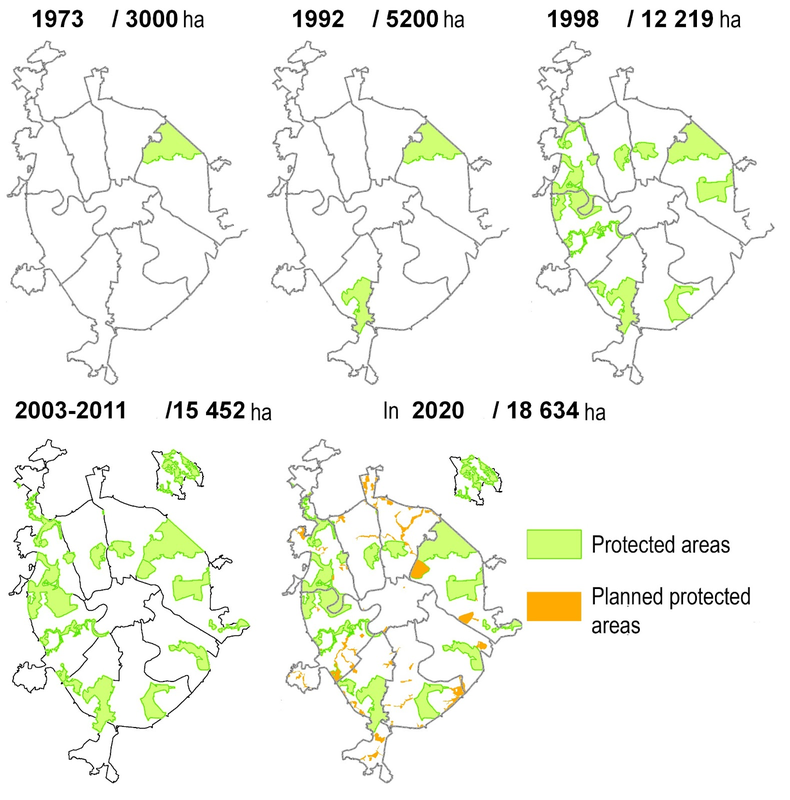 Growth of protected areas in Moscow between 1973 and 2020. The Moscow Soviet of People's Deputies (Mossovet) decided to set up a system of protected areas, and the second (Bitsa Park) appeared in 1992. Since then, the network has increased substantially. In 2004, the municipal government approved a plan for the "Development and Management of Protected Areas in Moscow" with a list of existing and planned sites up to the year 2025. There are now 20 protected areas in Moscow, which comprised 14.4 percent of the city's 154-square-kilometer area before the 2012 expansion. Can these territories survive in a densely populated megacity? In upcoming posts, I'll focus on the mysteries of these territories, with detailed information on specific sites. Sveta Samsonova is a junior research fellow in the geography department at Moscow State University and former president of the European Geography Association for Students and Young Geographers. Very interesting, I'd never thought of Moscow as a green city and had no idea that it has a history of environmental activism. Thank you! The extent of green space is surprising. I am not familiar with many aspects of Moscow. Thank you sharing your knowledge and I look forward to your series. Thank you, dear Rob and Georgia, for your interest! I am looking forward to share more information about Moscow's parks in my future posts! An ecologist is a healthy guy in boots who lies behind a knoll and through binoculars watches a squirrel eat nuts. We can manage quite well without these bums. The people’s growing ecological environmental awareness is one of the manifestations of the democratization of society and a key factor of perestroika. . . . We must welcome this in every way possible. "Rising protests in the 1980s had a strong impact on the region’s economy, as environmentalists began to demand a rapid solution to pollution problems in their neighborhoods. In all, over 1,000 production units either were closed or had their output scaled back in 1989 for 'violation of environmental protection laws,' USSR Goskomstat reported (see Table 7.1). In the city of Moscow alone, 72 plants and production lines were closed ..."
i like the connection between ecological and cultural value. so fortunate for a city to have these places that contain both, and are open to the public. i hope they aren't at risk of privatization.